JPH Photography: Ok I bought a dSLR now what? I bought a digital SLR camera. . .
What attachments/accessories/lenses should I buy? Chances are good that if you bought your camera at any respectable shop they would have tried to sell you one of these right away. No it's not a con by the sales associates (mostly) the idea is that it if something is going to get scratched it'll be a $30 filter instead of a costly lens. If you're just starting out in photography you probably won't need a top of the line brand filter so don't let the sales person get carried away trying to upsell you there. *Tip: One interesting quirk to watch out for is what you see in the image above. It happens if you're using filters when taking long exposures at night of northern lights. I won't get into the physics of it but it has to do with a certain wavelength of light and the two parallel faces of your lens and the filter. I think that all photographers should have one of these in their bag. At around $10 you'd be crazy not to have one anyway. One one end is a retractable brush that is good for knocking loose dust and debris and on the other side protected by a cap is a slightly concave felt pad for getting more stubborn materials off your glass. Over time (and depending on usage) they should probably be replaced so you have a new felt tip, that being said I've had mine for years and see no need to change it yet. Tip: They also make lenspens for point and shoot cameras, they have a smaller triangular felt pad for cleaning the smaller lenses. You just dropped a lot of money on your new camera so you should spend a little cash in order to protect it. There is a plethora of options in this department, unfortunately once you're getting into dSLR size bags the price goes up because there is less demand for them. Above are some choices from LowePro, a company that's been around for decades and is well respected among photographers. There are a variety of choices ranging from simple hip pouches to sling bags and full backpacks which even accommodate laptops. *Tip: One word of advice is buy a slightly bigger one than you need so that if you pick up a few lenses later on you can still carry them. Investing in a decent tripod would probably be next on the list for most people. Why do I need a tripod? There are a number of reasons but mostly it allows you the luxury of shooting at slower shutter speeds without producing blurry pictures. If you read my guide on understanding lighting you'll already know that you always want to keep your ISO as low as possible (sensitivity to light) in order to get the sharpest photos, however if your available light is already quite low the only options are to increase your aperture and/or lower your shutter speed. The rule of thumb is that 1/60th of a second is the slowest shutter speed you can safely shoot handheld (though this is changing as image stabilization technology improves) but with a tripod you can have exposures lasting as long as minutes or even hours. As I mentioned above any time you're using a zoom lens you should be using a tripod, the reason is when you're zoomed in that far any small movement gets multiplied by your magnification X. Good brands for tripods are Manfrotto, Slik, Gitzo, Velbon to name a few. Avoid tripod's designed for video cameras, they tend to be sloppier. When you're looking for a tripod you want one that is sturdy and won't allow your camera to move when all the adjustments are tightened up. Tip: A monopod may be what you're after as well, they are good for sports photography because they don't take up much space . Keep in mind though that you can always use your tripod as a monopod simply by not splaying the legs out. I'd recommend starting with a good tripod and if you think you need a monopod later then go for it. In short the best two lenses you can add to your kit are a zoom that compliments your kit lens and a nice fixed prime lens. Most dSLR's come with a general purpose standard lens, typically around 18-55mm. For most situations this is the best lens to use however sometimes you need a little extra zoom and that is where the telephoto lenses come into play. A good companion to say an 18-55mm kit lens would be something like a 70-200mm or a 70-300mm, this way you're not missing much range between the upper end of your 18-55mm and the lower end of your telephoto. If you find a good deal on a lens that will leave you with a gap don't rule it out though, it just means you'll have to keep this in mind when shooting and you may have to move back a little to get the same composition in your shot. Depending on your camera manufacturer you might be able to find older lens used for a fraction of the cost of a new lens. For example Canon's EF lenses will work on their dSLRs but due to the fact most dSLR's have a smaller sensor the magnification factor will be larger and I'll explain this below in a bit. When in doubt call your local camera shop (Don's or Phase II for example) before purchasing a used lens to make sure it will work with your camera and if possible try it out on your camera first to make sure it fits and the auto-focus is compatible. 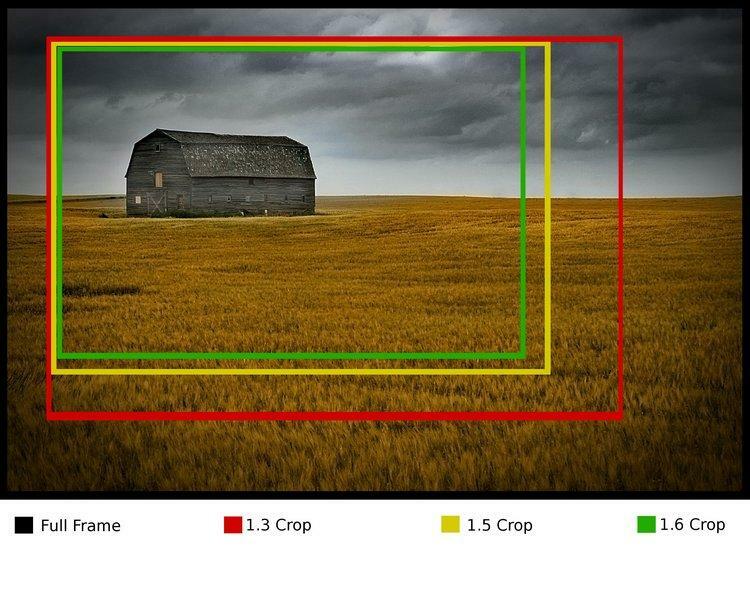 If you have a dSLR camera and paid less than $3000 for it chances are good that your camera's sensor is what's referred to as a “cropped sensor” or “crop sensor”. This goes back to the days of 35mm film cameras, the film was the part that “sensed” the light and was 35mm diagonally across. The sensors in consumer grade dSLR's are smaller than that of the 35mm frame hence the term “cropped sensor”. What this means is that if you find an older used lens that was made for a film camera the zoom rating will not be accurate anymore. For example if you put a Canon 100-300mm EF lens on a Canon Digital Rebel dSLR which uses a 1.6x crop sensor your effective zoom will actually be 160mm-480mm. 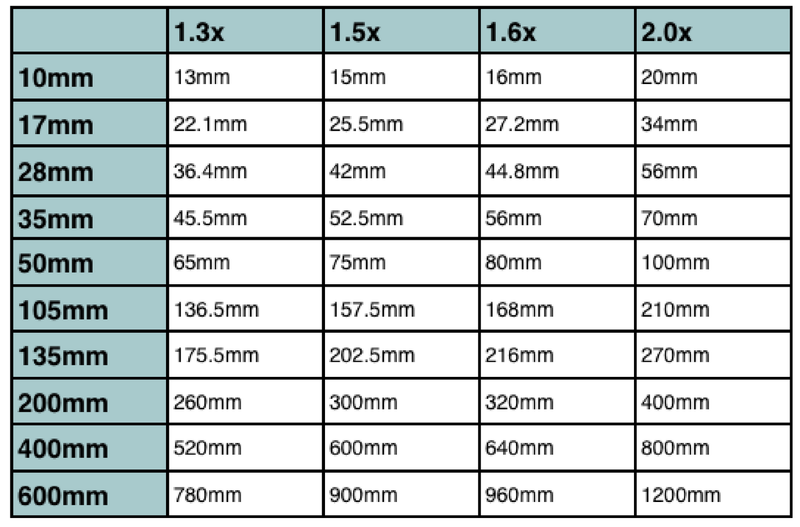 Here's a nice little reference table of standard zoom sizes and their effective zoom's on a crop sensor. Don't let any of this dissuade you from saving some cash by picking up an older telephoto though as there is another advantage besides the extra zoom. All lenses suffer from some inaccuracies due to how the lenses are ground and what materials they are made from etc, this results in the center of the lens being sharper than the outer edges of it. When you put one of these older lenses on a crop sensor camera you dramatically improve the quality of the image because the sensor only uses the central portion of the lens thus discarding most of the area that is degraded. As mentioned previously if you plan on shooting with a zoom lens you should really consider using a tripod, at higher zoom ranges any vibration or shakiness is multiplied dramatically and will result in blurry images. One last thing to note is that when buying any lenses you typically pay a lot more if you want a larger aperture (aka a faster lens). Where a 70-300mm F5.6 lens may cost $250 the same lens capable of f2.0 may run in the thousands. Variable zoom lenses are made up of many more elements than a fixed prime lens, this means any errors in how each of these elements are ground will add up and therefore decrease the total optical quality of the lens. Due to this fixed lenses tend to be sharper across the entire image, not just the center. 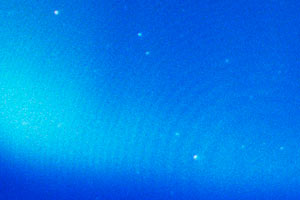 Other optical issues like barrel distortion, pincushion distortion, and chromatic aberration are reduced in prime lenses. This term may be new to you but when someone refers to a lens as being “fast” they mean it takes in a lot of light allowing you to use a faster shutter speed. Due to how they are made they often are available with very wide apertures (1.2, 1.4, 1.8 etc) compared to the variable lenses. Why is this important? Photographers always run into the same problem: not having enough light. Say you're shooting indoors and want to avoid the use of a flash (at a wedding for example) and your camera tells you in order to get a proper exposure you need to shoot at 1/4h of a second at ISO 100 at f5.6. 1/4th of a second is going to result in a blurry shot even if you're using a tripod because the people will probably be moving a little. If you have an F1.4 prime lens available that would give you 4 more stops of light to play with letting you shoot at 1/60th of a second instead which is shoot-able handheld. In short it gives you options. By using a very wide aperture (F1.4 or 1.8 etc) a very dreamy effect can be accomplished as backgrounds softly blur away allowing the viewer's eyes to be drawn to what matters. So which focal length should you buy? If you're going to pick up a prime lens I suggest going for a 50mm. The reason is that this is a very popular focal length for portraiture and therefore manufacturers make higher volumes resulting in lower prices. For both Canon and Nikon a 50mm prime can be found for under $150 and most likely other manufactures have similar prices to stay competitive. Keep in mind though you may have to apply that multiplication factor to the focal length that we covered earlier in this article so your 50mm may end up working more like an 80mm if you're shooting a Canon. Don't get hung up on that though as generally “portrait” lenses are regarded as anything between 50-100mm. Here are a few options when it comes to image editing/library management. I highly recommend trying all of the free ones first as well as any trial downloads you can find before spending any cash at all. Now for image editing software Adobe Photoshop is the gold standard in the industry (CS4 is the current version), it’s the program that everyone uses. It is also ridiculously expensive which leads to a lot of pirating, there are tons of torrents available if that is the path you choose (I'm not condoning it). Another, more affordable option, is Adobe Photoshop Elements which is a "lite" version that sells for $129.99 as I write this at London Drugs. Check Adobe's website for downloadable trial versions before dropping any cash. Pros: It is the industry standard bar none. Cons: Pricey, A bit of a steep learning curve, I've used it for 8 years and am still learning new things every day. GIMP (GNU Image Manipulation Program) FREE! I'm a huge fan of FREE and often recommend this program. It's no Photoshop when it comes to features but it is very user friendly and covers all the basics like cropping, resizing, exposure correction, and some nifty filters for spiffing up your photos. Picasa also acts as a photo manager for organizing your pics and has other handy features like "email" that will re-size your photo and automatically place them in a new email for you to send (supports outlook, gmail, and a few others). Personally I don't like the photomanager portion of it but that's just me. Cons: Due to its easy to use nature more serious photographers may not like the lack of complete control. It takes its name from the film days where photographer's would view their negatives on a light table etc. Essentially it is a workflow tool for organizing your photos and is also a feature rich "digital darkroom". It gives you a plethora of controls for developing your photos and most "pros" use this to import & tweak their images before editing them in Photoshop. This isn't really a tool for beginners but if you're shooting in RAW already you might want to look into it. Great blog to read ! Had a question regarding U.V filters. I bought the 550D with twin lens kit, will a 77mm screw in fiter work for both lenses? You just have to look at your lenses and see if both are a 77mm filter. You should really have one for each of your lenses though, very cheap insurance against scratches compared to the cost of a new lens. I'm surprised the salesperson didn't convince you to buy two when you picked up the camera.